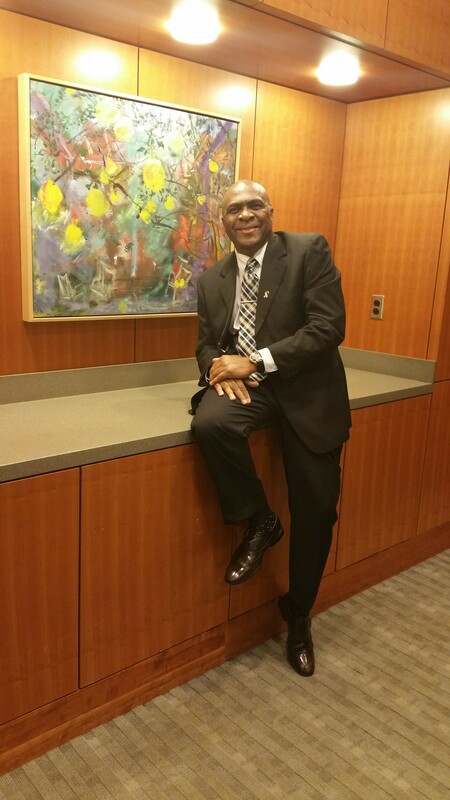 HIV, aging, and leadership, have characterized my life in differentways for three decades. Each has impacted how I define my life in various ways. As a person aging with HIV, thriving with the virus began as a complication but now, with time and wisdom, has been reduced to an endearing contradiction. Thriving with HIV 20 or 30 years ago was like aging prematurely with the physical frailty, awareness of my mortality, and the common fact of life for the elderly: the frequent death of friends. The constant funerals and memorials always left me fearing my imminent and premature death. I was uncertain that even death might not ensure relief as I remember when funeral homes would not bury dead friends or when I met relatives of the dead who had shunned their children. Death was often defined by pain, shame, confusion, and isolation. Unconsciously, I became stronger by will, tougher by faith, and more calculated and determined as I learned to navigate biased providers, economic trap doors, and impossible social service systems. I became a professional student, without designing a strategy towards that end. Again, without a deliberate plan, I received training to write more effectively, support to deliver messages to our communities more effectively, and develop my voice, that is now heard on boards and advisory bodies and in individual settings. Somehow, this plague of a virus, this bullseye of stigma and shame, became the springboard for my role as a leader. As I fought for my life and for my strength through the early years, I now apply lessons learned to fight disparities in our communities. I am part of a community of advocates and peer educators who, through many varied routes, have distinguished ourselves by thriving not simply surviving. My initiative is my own, but my capacity in this field comes from countless trainers, providers, and associates. My wisdom is my own but my developed influence in the HIV primary care world has been born of compassion, empathy, and experience as a caregiver for the weak and dying. My authority comes from what I owe them, myself, and those I will meet tomorrow. I embody a global movement that has evolved into a worldwide model of chronic care and peer support. We have defined an epidemic. It has not defined me (us). I practice self-care. I initiate and value partnerships on local, state, national and global levels. I consult with academic, clinical, faith-based, and healthcare systems to disseminate in ever-changing, innovative venues. I draw from my lessons learned as a Gay, African-American man in America. Every assault every fear and aggression I have experienced has transformed into the powerful foundation that frames my advocacy to be the change I seek. My leadership is valued in the HIV and chronic care world and comes from working with marginalized individuals, People of Color, and LGBTQ communities. The challenges of HIV & Aging still represent an enormous gift and paradox. This gift defines my commitment to this life-giving, life-changing vision to the reduce stigma, provide education, and end HIV in our lives.